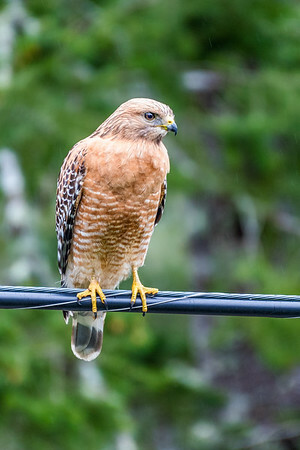 Another Hawk, Out There, On the Wire. A favorite hangout outside the kitchen. He's out there a few times a week.